Marutii Quality Products Pvt. 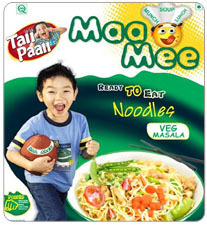 ltd (MQPPL) one of the ventures of Sri S.S Agarwal, which was incorporated in March 2008, is proud to announce the launch of its flagship brand "Taii-Paaii" instant Noodles and Noodle Bits. 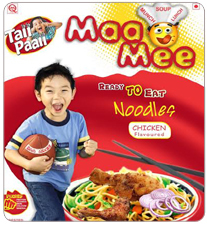 The "Taii-Paaii" range of instant Noodles is available in a number of tasty and exciting varieties. The "Taii-Paaii" Noodles is a unique product in the instant noodles category. It is loved by the kids and provides mothers a tasty healthy afternoon snacking option for their children. It is currently available in two variants: Veg-Masala, and Chicken. Taii-Paaii as a brand has always set out to empower homemakers and enable them to make healthy, tasty and delicious food options. White noodles "TIP TOP" launched on 6th June 2016 and receiving positive response from ultimate consumers. Mother feels very happy to the smiling face of her child after taking TIP TOP. 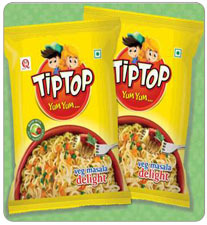 Expression of all as ‘yum yum’ with TIP TOP and it’s the superb feedback of TIP TOP which makes us more confident. But people will never forget how you made them feel’! This is our great satisfaction to launch and give the “TIP TOP” to the Nation & join in Make in India Mission! People enjoy with our products, we enjoy with their happiness………. Great innovation, Great work & Great Feedback. 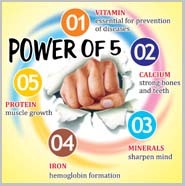 All those things happened only because of your great support all the times, enjoy yourself and keep smiling…..